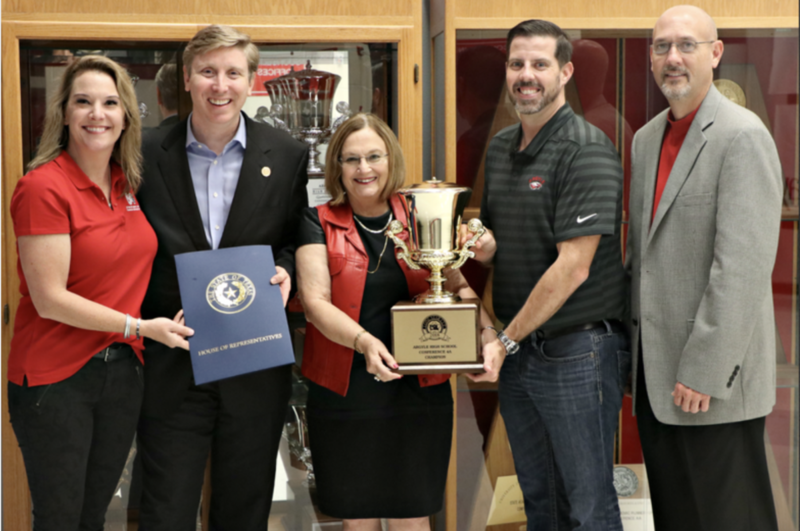 District Director Suzann Woodard from State Representative Dr. Stucky's office along with State Representative Tan Parker, AISD Superintendent Dr. Telena Wright, AISD School Board President Mr. Sam Slaton and AHS Principal Mr. John King posed with the 2018 UIL 4A Lone Star Cup at the game on Friday. This is a huge honor for Argyle ISD. 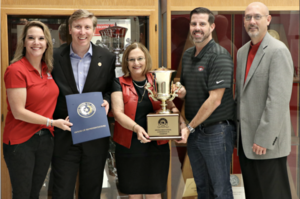 The students, teachers, coaches, aides, administrators, school board, parents, community members, and volunteers in AISD all worked together to help make this possible. Congratulations!